Wait, how can that be? 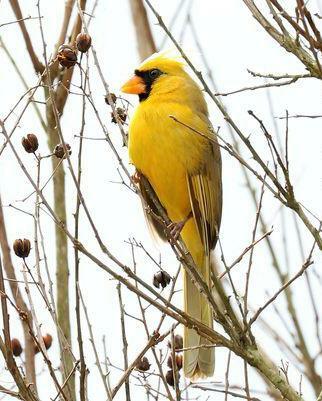 When a rare yellow cardinal showed up in Alabama in January, emails and Messenger pings started arriving – even from friends I know don’t have a deep relationship with birds. Seeing this brightly colored yellow cardinal got a lot of people’s attention! But why is it that color and not red? There are several explanations for why this bird is yellow – the color could be the result of a genetic mutation, high stress or some illness. But we won’t know why for another season. But if the bird appears again and is white next year…then genetic mutation is assumed to be the cause. National Geographic has a nice article on this yellow beauty.